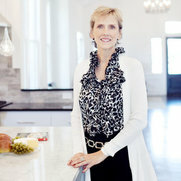 Peggy Newman is a trusted home designer based in Nashville. Her wide collection of home designs is known for capturing the essence of down-to-earth functionality and everyday living, while maintaining an elegant and sophisticated style to each home. Born and reared in Louisiana, Newman has a creative spirit that started at a young age. After graduating from high school, she immediately began a music career which would eventually bring her to Nashville with a publishing deal. 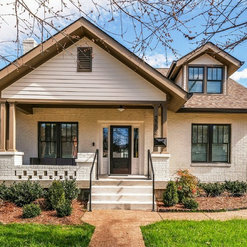 After ten years on Music Row, Newman decided to pursue her passion for design. After graduating with an interior design degree from Watkins College of Art, Design & Film, she worked with several builders who quickly realized she had a gift for space planning and 3D modeling. 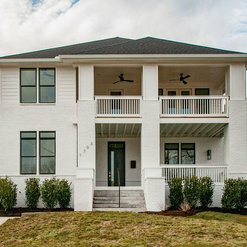 It did not take long before she started her own company and began designing homes in their entirety. 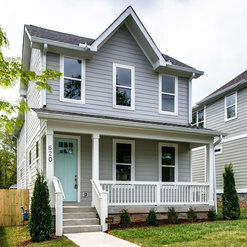 Peggy Newman Designs (PND) is unique in that they offer the builder/developer just short of a turn-key home. Yes, she designs beautiful homes, but PND goes beyond that. They not only handle exterior and interior selections, they do most of the ordering and tracking of the selections for the builders. The builders do not have to lie awake at night wondering if the lighting and tile have been ordered, or if the layouts have been designed. They do not have to worry about hunting down a replacement for a back-ordered item. Nor do they have to worry about what is trending this week. Most builders do not have time for "what's in, what's out." PND runs things in the background, and the builder gets to build. 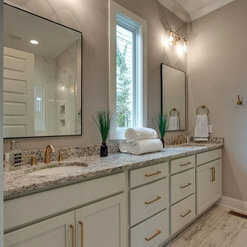 PND spends countless hours a day searching for unique items and ideas for each home they design, and most of all, they keep costs low. PND has relationships with many of Nashville's major vendors, which is also great for the bottom line. WHY CHOOSE PEGGY NEWMAN DESIGNS: - Competitive pricing and attention to the bottom line - Personal attention that has led to satisfied clients for years - Our design team, drafters, and interior designers have over 60 combined years of experience - Prestigious award-winning designs. PND has won many Historic Preservation Awards. Peggy's artwork has been published in the Nashville Business Journal. Peggy recognizes that talent is a gift from the man upstairs, and gives Him the credit for blessing her with a career she loves. Peggy Newman Designs is our first choice for floor plans and design services. Working with Peggy and her team has been a pleasant experience. Professionalism, punctuality, communication, experience and skill are all strengths. Thank you Peggy Newman Design for your services! It has always been an absolute pleasure working with Peggy Newman Designs. Her and her staff have figured out how to make the building process seamless. Not to mention they are constantly researching new trends. There are trendsetters in our market with a timeless product. Thank you so much! We are so grateful to have your business!